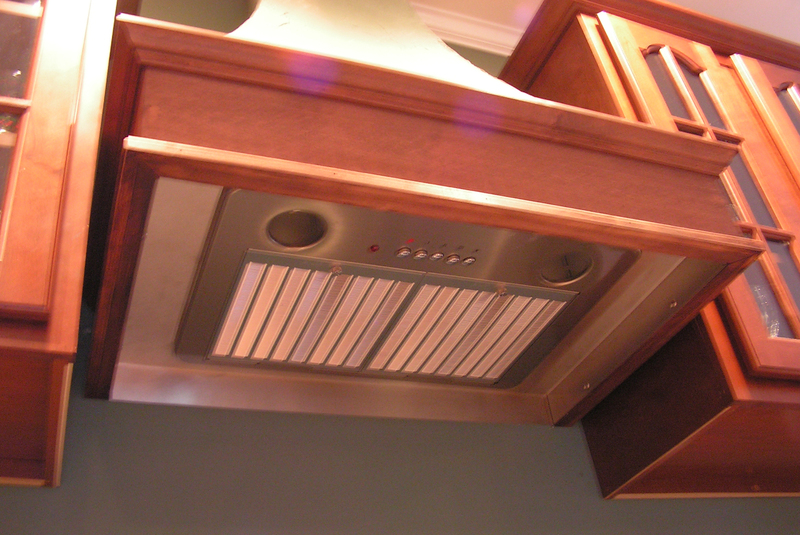 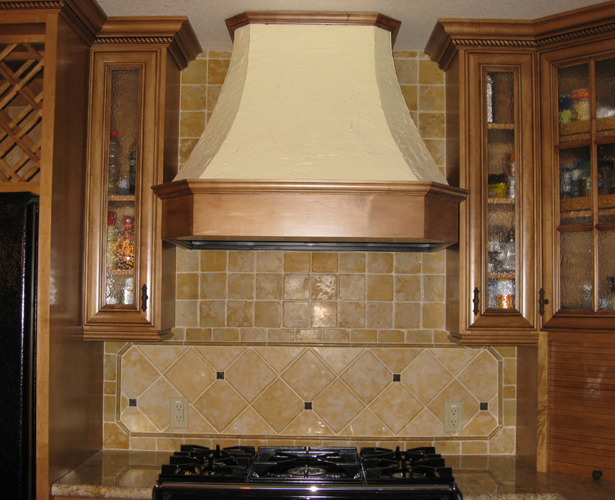 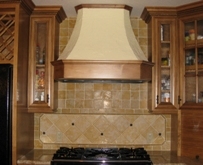 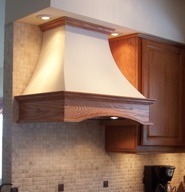 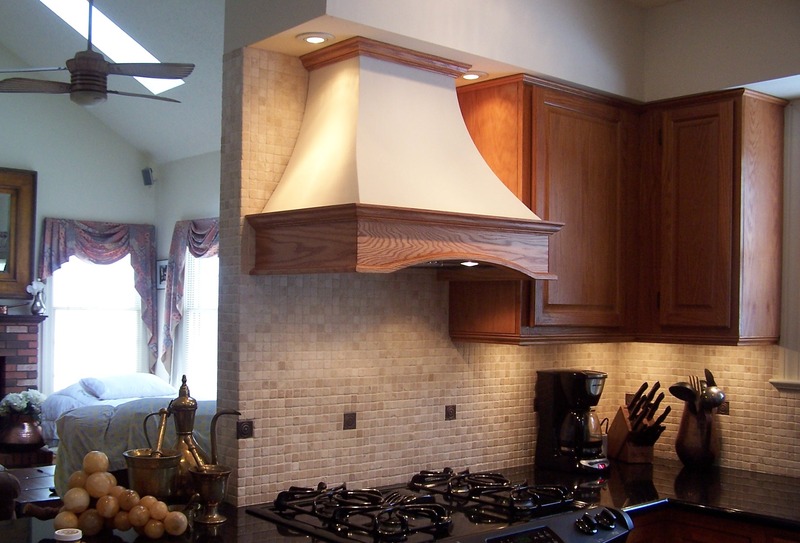 Here are photos of custom hoods from our shop and installed at our customers homes. 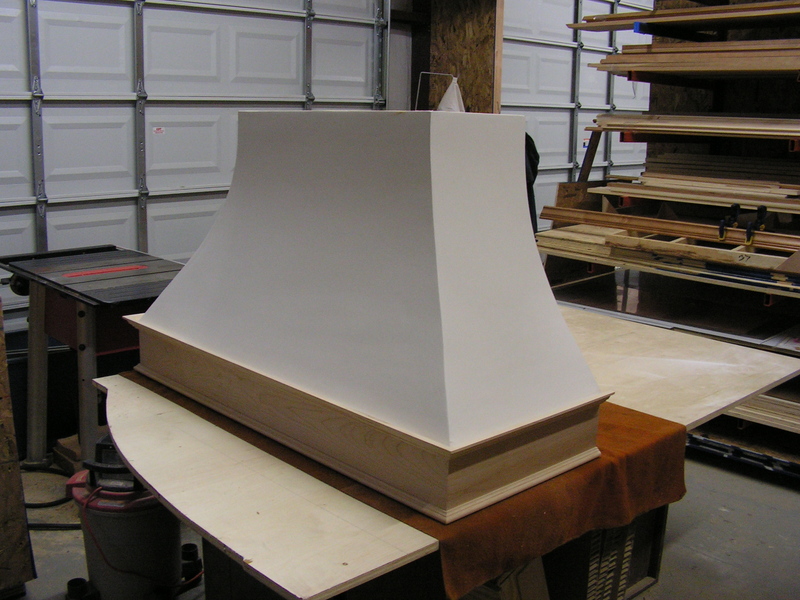 We can custom build a hood to your specifications with just about any size or shape and around any exhaust unit - ours or yours. 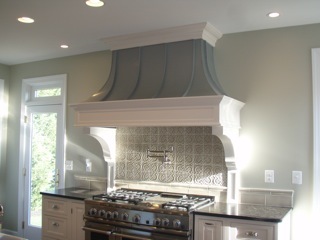 You can pick the height, width, depth, moldings and wood type. 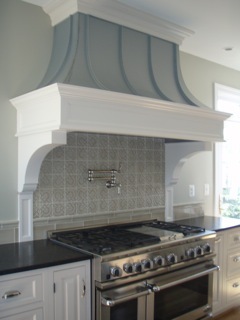 We gather some preliminary information from you, send you a detailed scaled drawing, and make any revisions needed to make the hood perfect for your kitchen. 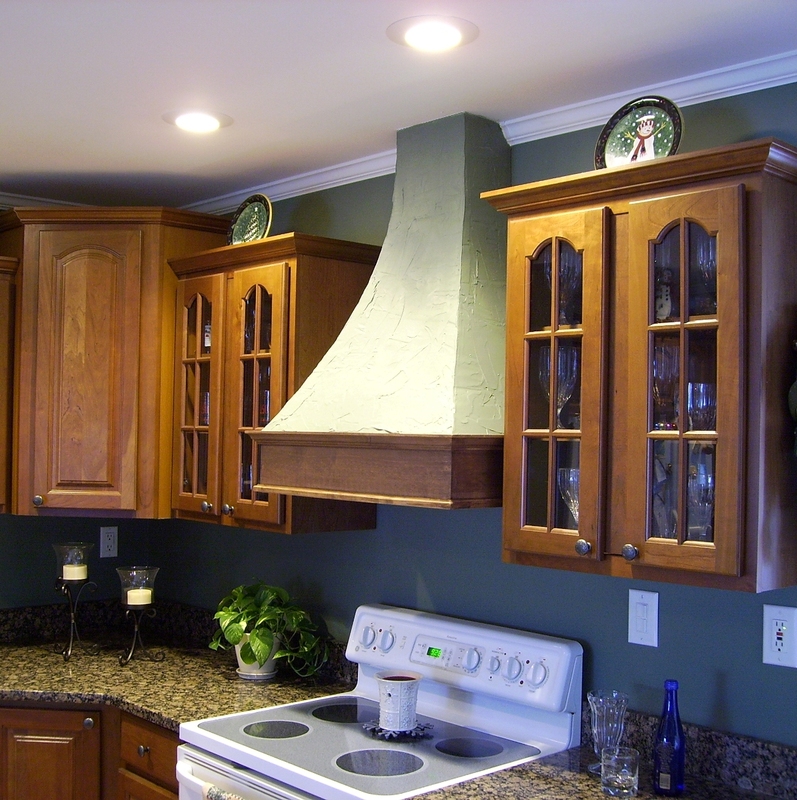 Click on any of the pictures below to enlarge it in a new window. 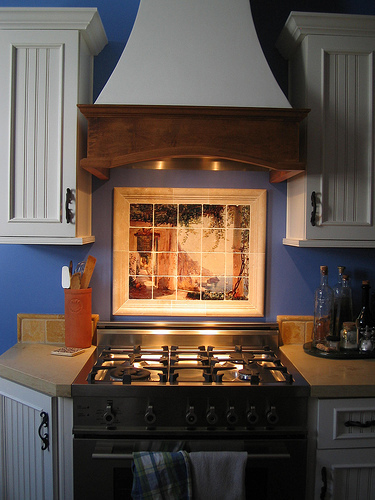 If your pop-up blocker is preventing the picture from opening up, press the 'Ctrl" key when you click on the picture.